As the witches, zombies, and ghosts start pulling their best dress out of the closet, so also do some of the lotteries in the United States. The Halloween Millionaires Raffle closes at midnight on the 31st of October – the witching hour. If you haven’t bought your tickets already, you’ve missed the early bird draws. There are still two days to get into the game! 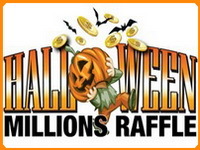 The Halloween Millionaires Raffle is a multi-state lottery offered in Michigan, Iowa, Indiana, New Jersey, New York, Ohio, and Oklahoma. Halloween Raffle tickets cost $10 each with no limit to the number of tickets sold. The more tickets sold the more million dollar jackpots that will be offered. For every 200,000 tickets sold in the participating states an additional million dollar jackpot prize is added. If there is no winner in a particular state of the million dollar jackpot, a special runner-up prize of $50,000 will be randomly drawn for that state. The Halloween Millionaires Lottery in Michigan says that for every 10,000 tickets sold, there will be 50 prizes of $100 and 500 prizes of $20. The more tickets sold, the more people will win. This certainly beats candy apples and chocolate bars as a trick or treat to take home! Illinois also chose to host a Halloween Millionaires Raffle but not part of the multi-state draw. Their tickets cost $20 each, and only 500,000 tickets will be sold. There will be four $1 million prizes awarded as well $500,000 in instant $100 prizes. This one got my attention as my place to get my ‘treat’. The Halloween Millionaires Raffle whether it’s part of the multi-state or Illinois’ game is sequential tickets sold. This is not a game to play your favorite numbers. Remember this is a Halloween lottery that closes midnight on the 31st of October. The draw takes place on November 1st at 2 pm. 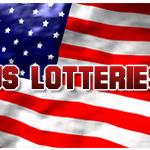 Numbers can be checked on any of the official state lottery sites for the participating states. 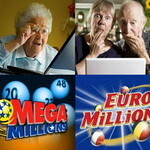 Mega Millions VS EuroMillions: Who Will Reign Supreme? 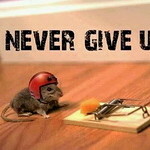 Persistence Pays Big Bucks for Lottery Players?! Hell Yeah! Seriously, Wow.